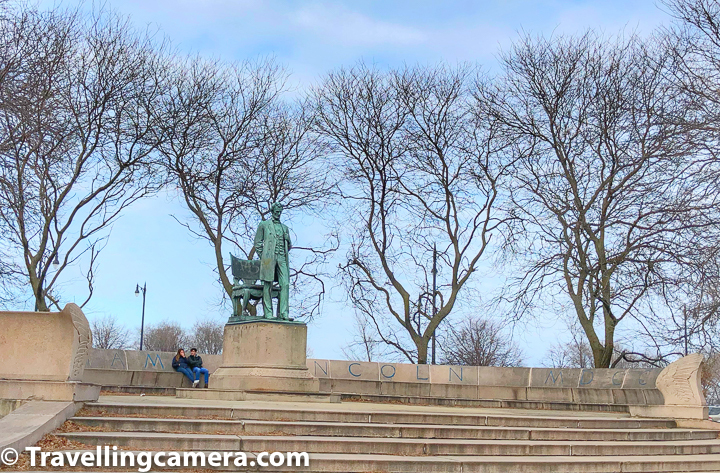 Lincoln Park is one of the most visited places in Chicago city and there is a zoo located inside this park. 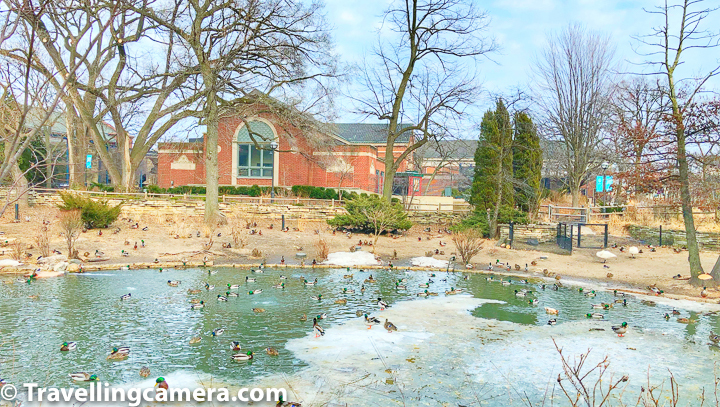 Lincoln Park Zoo of Chicago is one of the oldest zoos in USA and amongst the few free zoos in the world. 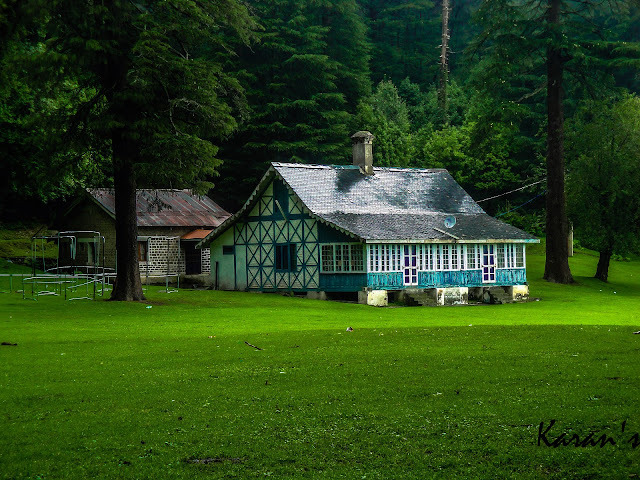 But keeping these facts aside, this is certainly a beautiful place to roam around and especially in summers because during winters many of the animals are moved to relatively warmer places - either indoor or some other locations. 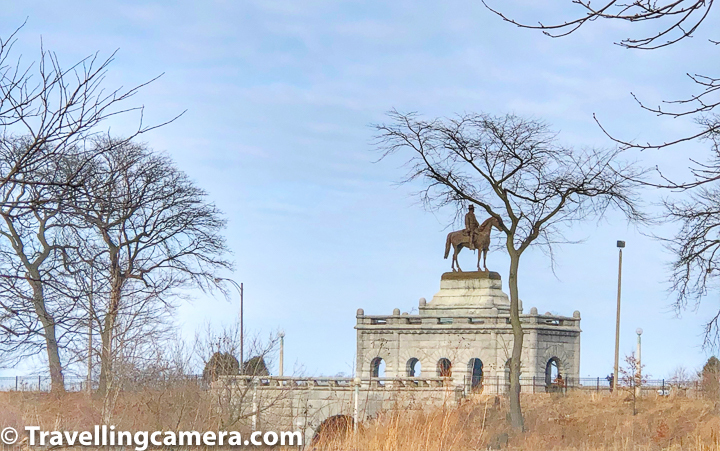 This Photo Journey takes you thought the Zoo located inside Lincoln Park of Chicago along with some interesting facts and tips to make best of your visit to this place. 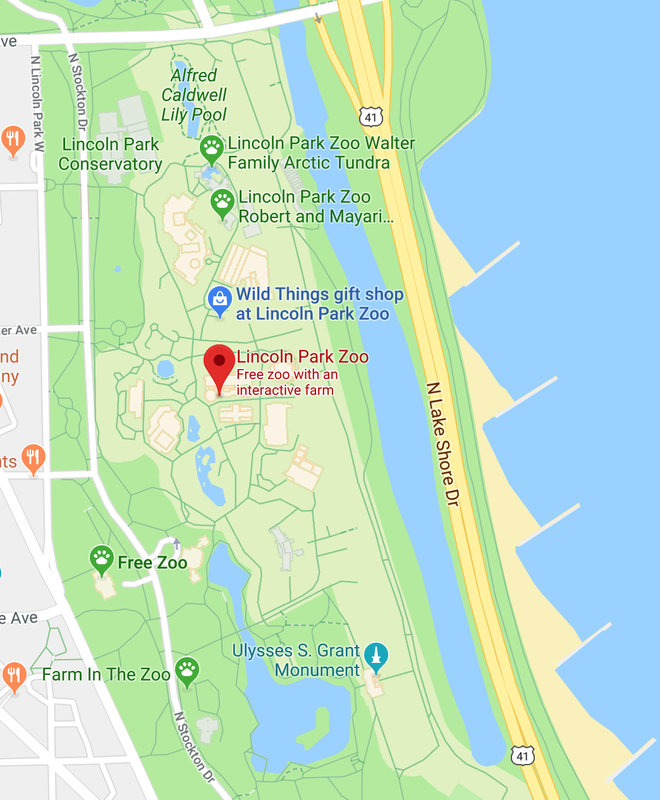 Lincoln Park Zoo is beautifully located in the middle of a colorful water body, American style farm and Lincoln Park Conservatory. Whenever you plan to visit Chicago zoo in Lincoln Park, it's recommend to visit and see Lincoln Park Conservatory as well as farm area. I visited the zoo in the month of March and the water ponds inside the zoo were freezing. 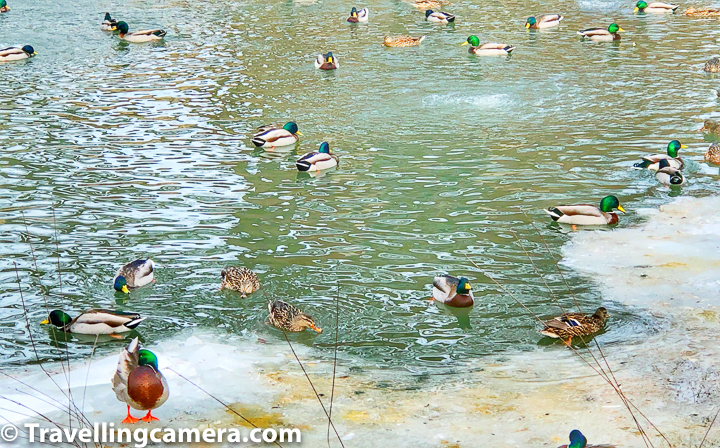 Above photograph shows colourful birds on frozen lake. Most of these birds are northern pintails. 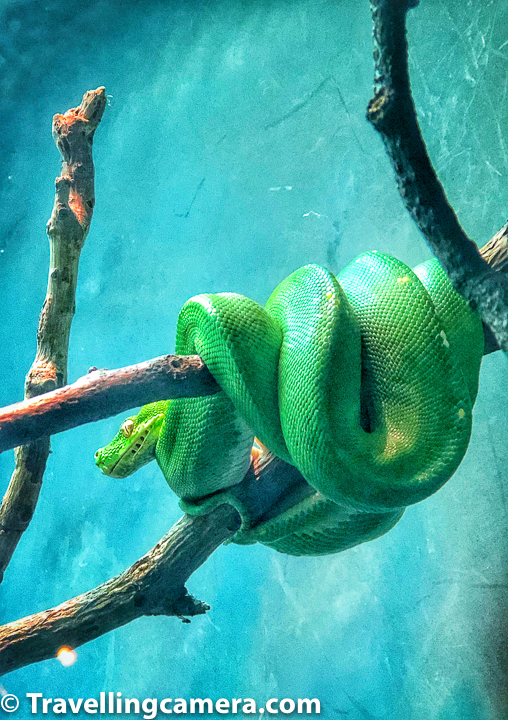 The zoo's exhibits include big cats, polar bears, penguins, gorillas, reptiles, monkeys, and other species totalling nearly 1,100 animals. Lincoln Park Zoo of Chicago is known for good variety and families living around the place love to spend weekend around this place, especially when weather is relatively better. 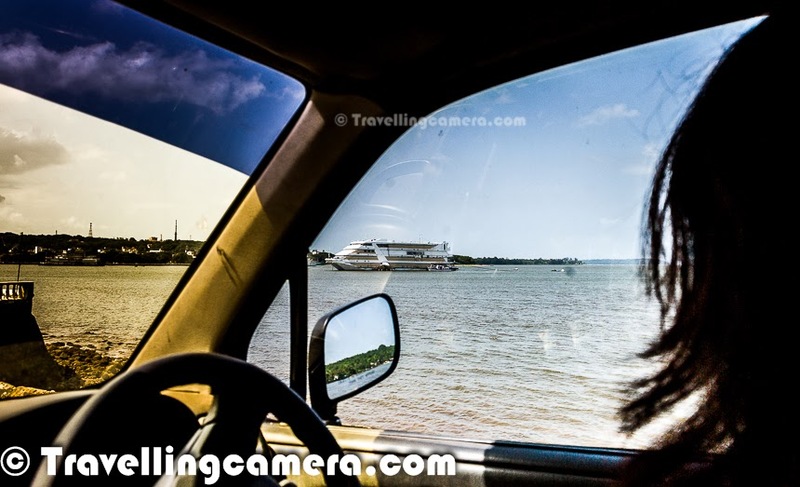 Lincoln Park is a designated community area on the North Side of Chicago, Illinois. Lying to the west of Lincoln Park, Chicago's largest park, it is one of the most affluent neighborhoods in Chicago. Conservatory and the zoo are 2 most important additions in Lincoln Park. 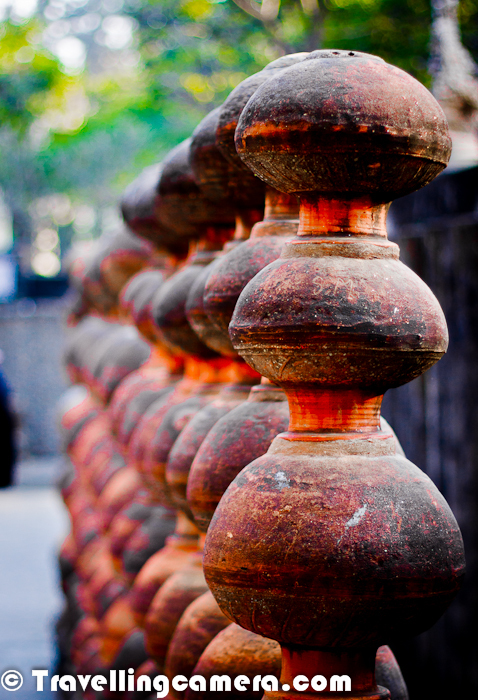 Throughout the park, one can enjoy some impressive sculptures. Chicago winters are little painful but the experience of walking around Lincoln Park Zoo makes you forget all the discomfort I had. 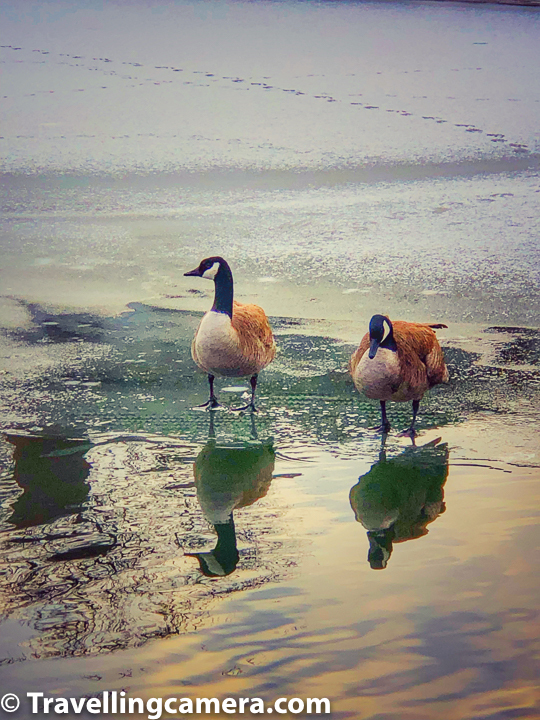 At the same time, I was wondering how these birds can walk so comfortably on frozen water pond. 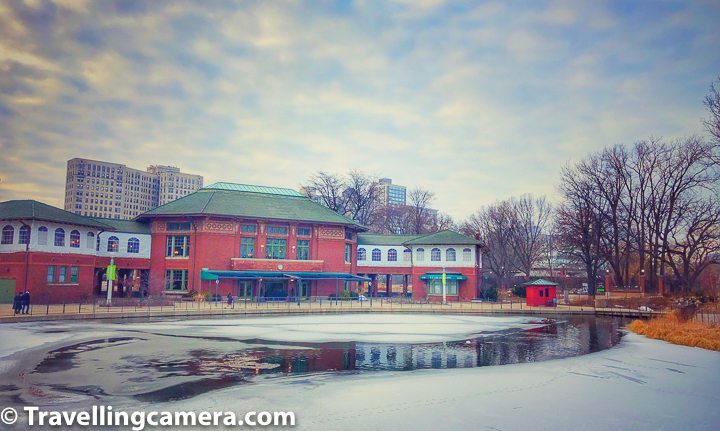 Most of these shops, cafes around Lincoln Park Zoo were closed during winters. 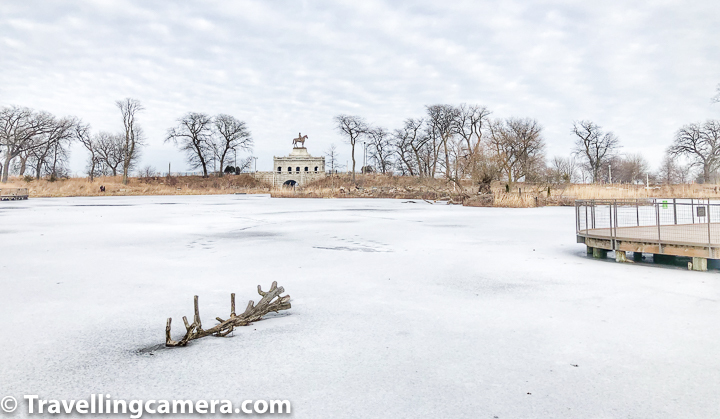 Above photograph shows area close to American style farm in Lincoln Park with frozen water pond adding beautiful contrast to these colourful buildings of Chicago. If you see closely at above photograph, these birds are around frozen water pond. 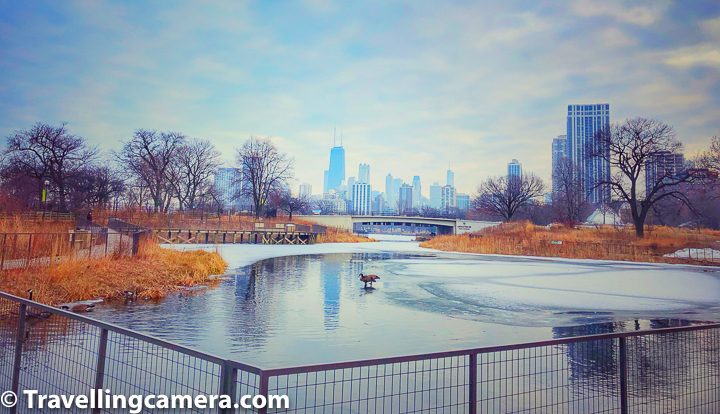 In fact, some of these birds are standing on the snow and others are floating around the chilled water in Lincoln Park Zoo of Chicago. 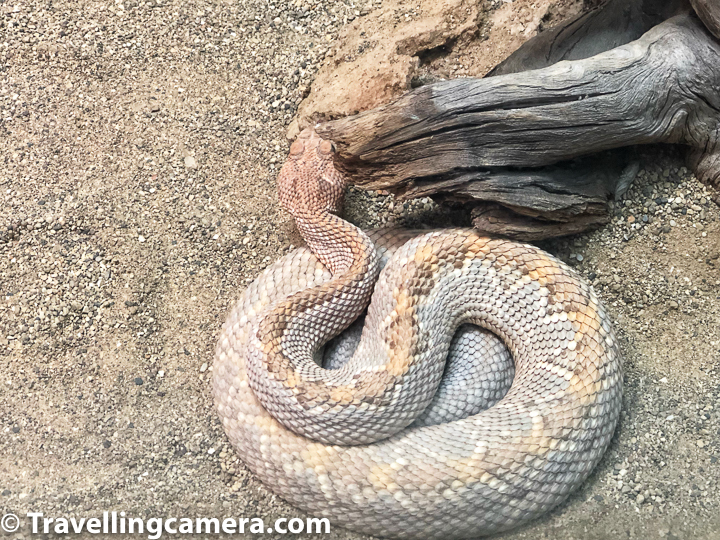 As I entered into the zoo from the farm area of Lincoln Park, Reptile park was on my left and chilling winds outside made me enter into this indoor space with appropriate warmth. 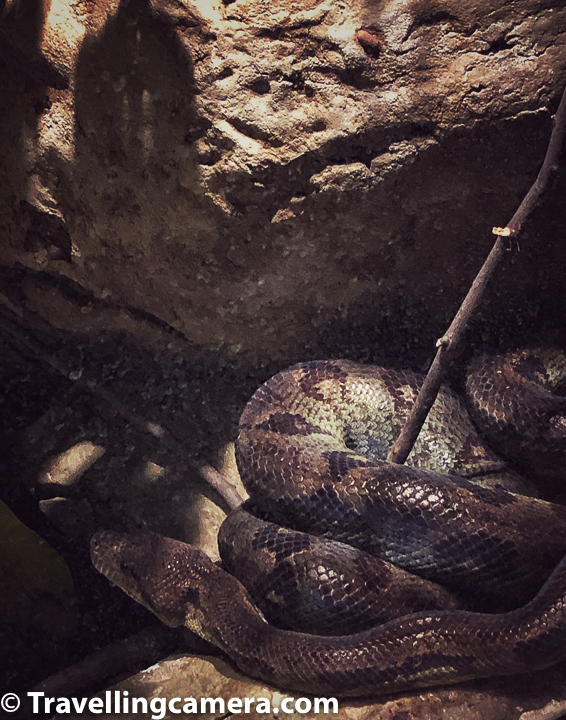 The Regenstein Small Mammal-Reptile House is approximately 32K square-feet indoor exhibit that houses small animals in two main areas : the Gallery and the Ecosystem. The Gallery begins with a large room ringed with terrariums exhibiting reptiles and amphibians like axolotls, green tree pythons, poison dart frogs, and Sistrurus catenatus. 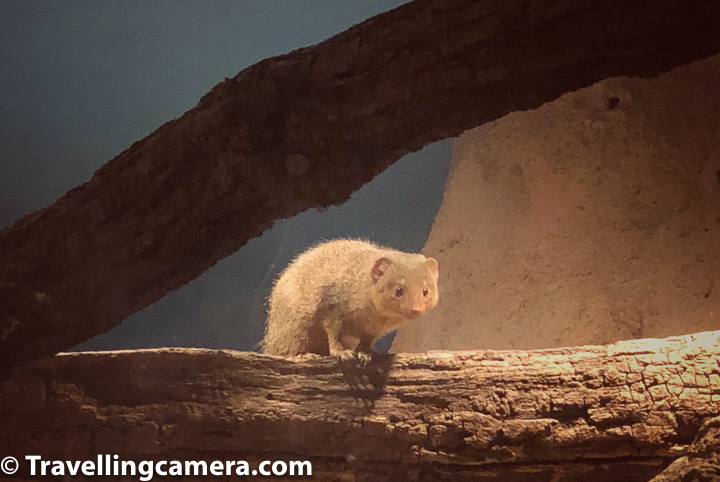 The next part of Regenstein Small Mammal-Reptile Gallery features dwarf mongooses, naked mole rats, straw-coloured fruit bats and other small mammals in and around a man-made baobab tree trunk. 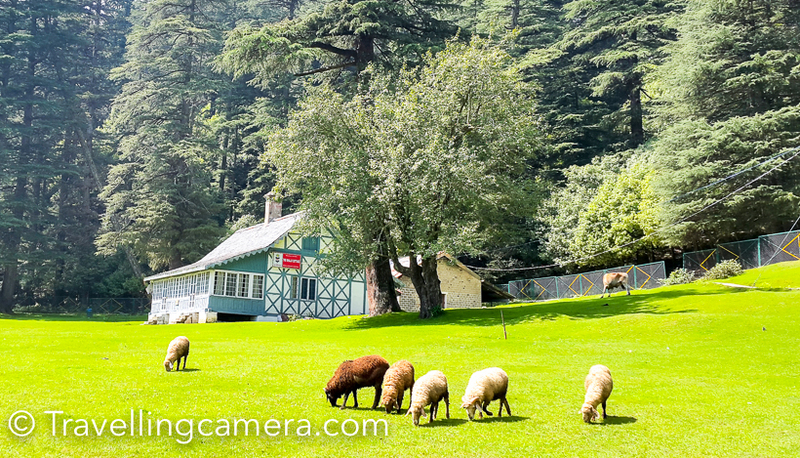 There is a popular exhibit close to McCormick Bird House which allows visitors to observe powerful birds-of-prey. These exhibits emphasize how birds-of-prey play a role as nature's clean-up crew. 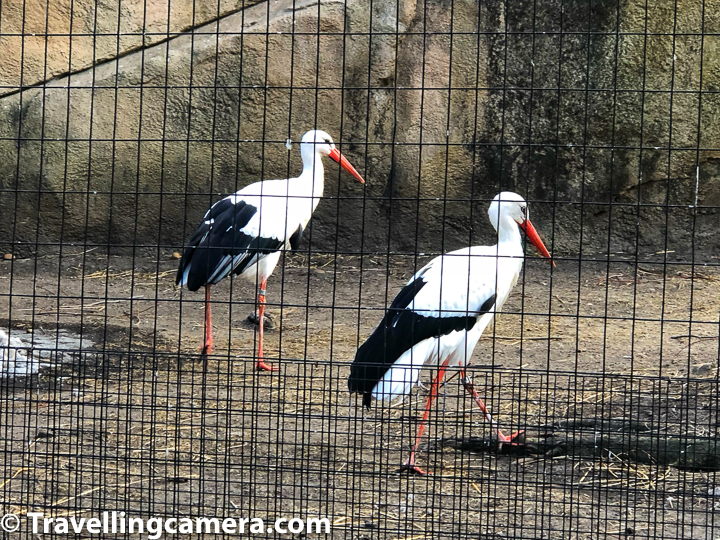 One large, lush outdoor habitat contains multiple specimens, including breeding pairs of cinereous vulture and the European white stork, while two adjacent aviaries contain the zoo's resident bald eagle and the next features a snowy owl next door. 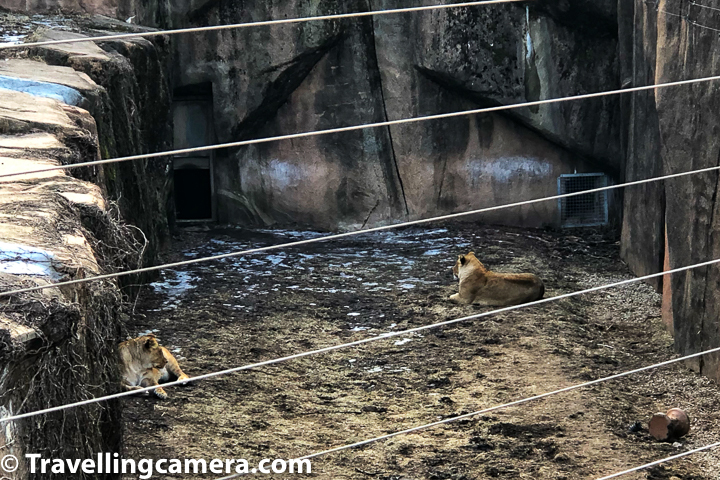 Above photograph shows lions sitting around snow in Lincoln Park Zoo of Chicago. Kovler Lion House building stands at the heart of the zoo near its entrance and has housed a variety of big cat species over the years, most notably many Lions as well as Siberian tigers, which inhabited two grottos on the northern exterior of the building, each having access to multiple indoor areas alongside the interior main hall, and a glass window viewing areas on the end of each grotto for guests to get a closer view. When I visited the zoo in winters, I could only see these lions and probably other popular cats were kept in warmer places as it was -5 degree temperature in Chicago. 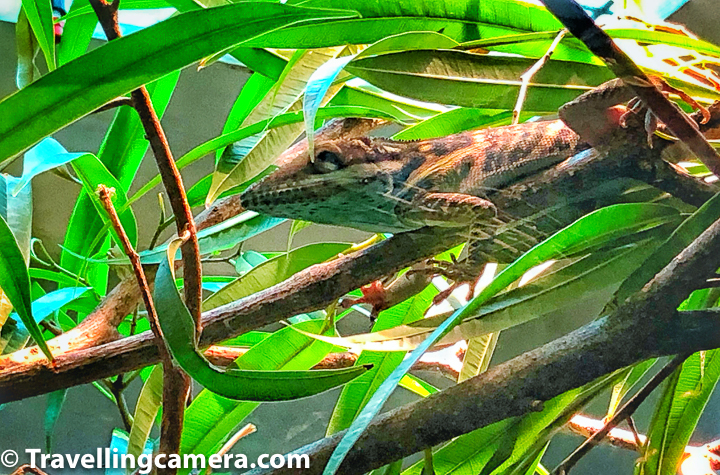 Lincoln Park zoo is much more that what I could manage to share in this blog-post. 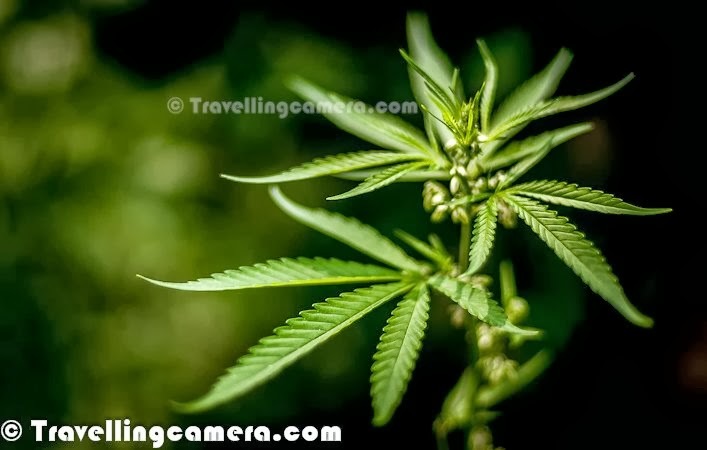 While compiling this post, I referred to official website of Chicago Zoo as well as Wikipedia. 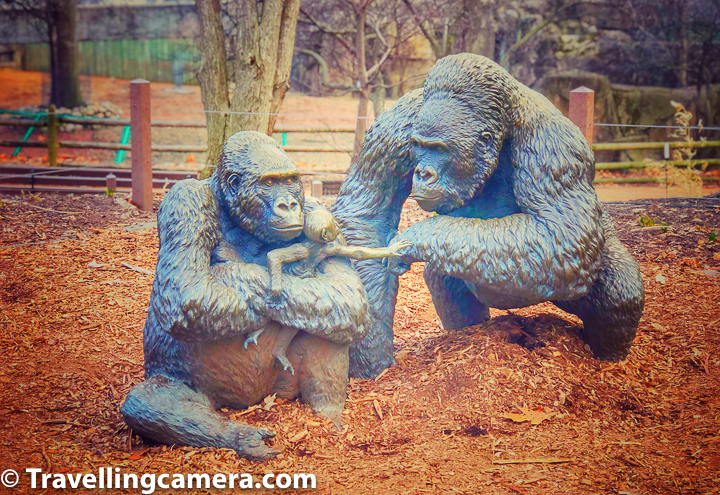 Lot of awesome details about Lincoln Park Zoo can be found here.